Most of us are aware of the powerful odor of onions. Did you know this is their secret weapon against viruses and bacteria? That pungent odor is caused by the rich sulfur compounds that promote health and well-being. Throughout history onions have been held in high regard for their culinary and medicinal qualities. They have even been used as a currency in Egypt to pay the workers who built the pyramids. Onions have phytochemicals and quercetin which assist the body by moving and breaking up the mucus in the head and chest. The powerful odor causes the eyes to tear and the nose to run. It is this affect on your body that stimulates the immune system to fight the virus or bacterial infection. This is helping your body shed the virus and reduce the inflammation from congestion. The onion is a warming, stimulating and penetrating herb. It is used in soups and even cough syrups. But you don't have to eat it to experience its healing affects. Apply them externally as a poultice and inhale and feel their pungent effects. Onions bring heat to the area and this action brings the fever to that part of the body to control how far the infection spreads. You can also cut them in slices and put them in a bowl by your bed at night or in any room in the house. It is said they absorb the viruses and bacteria from the air. A doctor during the 1918 Spanish flu discovered a farmer and his family doing this very thing and they did not catch the flu, so the story goes. 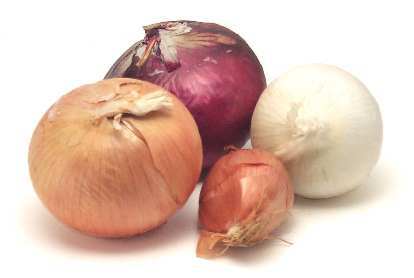 Onions are anti-bacterial, ant-viral, and anti-parasitic. They are rich in vitamin C, potassium, chromium, fiber, manganese and vitamin B6. So eat onions every day, learn to make poultices and syrups and continue a 5,000 year old remedy.